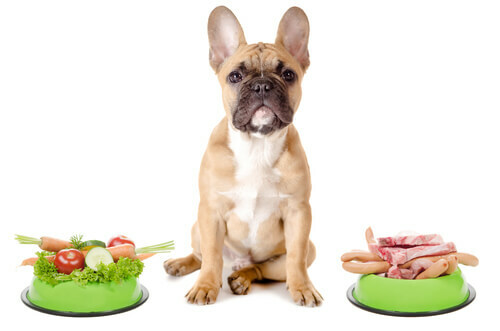 HomeBlogfeaturedIs your dog an omnivore or a carnivore? Recently, I published a post as to whether your dogs could be a vegetarian. This was motivated by an article published in Health 24. Com: “raw dog is risky business for pet and family alike”. It was further motivated by the recent outbreak of listeriosis, leaving pet owners and humans perturbed as whether they and their pets could thrive on a diet that excluded meat. IS YOUR COMPANION AN OMNIVORE OR CARNIVORE? The question as to whether you consider your pet to be a wolf or domesticated dog is a very important one, and the answer will prescribe to you, the diet that you should be feeding and that which is appropriate. The consequences of inferior diet are dire and effects behavior as well as general well-being, health and longevity. So, where did the canine evolve from?Some believe that our beloved “Fido” is a descendent from the Wolf, and therefore these people believe that all canines need to eat only raw meat and raw bones. Scientists however, have confirmed that our furry friend could not have descended from the wolf as there are too many different genetic sequences for this to be possible – 26 to be exact. They propose that it is possible that our canine friends could have descended from the dingo, jackal, fox, or even a coyote. If this were the case, then the canine would have been more of a scavenger and certainly would have been less dependent on raw meat as a primary protein source. However, the one thing we do know for certain is that regardless of where they originated from, research has shown that domesticated dogs have been eating cooked food for thousands of years. For thousands of years our pets have been fed table scraps and their metabolism has adapted so. Our dogs can no longer digest copious amounts of raw meat but prefer a diet. that is rich in vegetables and nutritional pulses, together with reasonable quantities of quality meat. In fact, many people believe that their companion animal can live on an exclusive diet of vegetables and grains. The Chow Chow, evolved to be almost vegetarian in nature, after been fed only grains and veggies by the Tibetans. Its whole physiological make has changed to metabolize a diet enriched with veggies and quality grains. Some may argue that dogs are classified as carnivore and thus this classification should settle the issue? Absolutely not. Bears and raccoons are carnivores, but they are clearly adapted to an omnivorous lifestyle. Giant pandas are also classified as carnivores, despite the fact that they have a diet consisting of bamboo. Evolution can do funny things with animals, so classification won’t help settle this issue. Another notable issue in determining whether our dogs are carnivores or omnivores revolves around the ability of dogs to digest grains and vegetables. The digestive tracts of animals give clues as to what kind of diet they can eat. The shorter the length of small intestine, the less capable the animals are of digesting plant materials. Herbivores have very complex and long digestive tracts, whereas humans have somewhat simpler and shorter digestive tracts. If you compare the length of the small intestine in cats (obligate carnivores) with that of a dog, the dog’s small intestine is longer relative to the animal’s body length (4:1 intestine/body length ratio in cats, 6:1 in dogs). Based on digestive system anatomy, and plant digestibility, it would seem that dogs are adapted to eat a diet that includes vegetable material. The next issue is amylase, the enzyme that digests starch. Grains are mostly starch, so an animal would need to make amylase if it is going to digest starch. People have amylase in their saliva, so starch digestion begins when you chew your food. Dogs, like cats, don’t have amylase in their saliva. But this ignores the fact that dogs secrete large amounts of amylase from their pancreas. Since meat doesn’t contain starch, why would dogs need to make amylase in their pancreas? Obviously because they are equipped to eat and digest plant-derived starches. Foxes, which are closely related to dogs, eat just about anything in the wild, from bugs to birds, to fruits, grains and berries. They too are very adaptable “carnivores”. Taurine is essential for all animals, but because it is absent in plant material, herbivores and omnivores must synthesize it from other amino acids in their diet. In order for obligate carnivores to get enough taurine, they must eat other animals that contain taurine in their meat and organs. Cats need taurine in their diet, and they are obligate carnivores. So what about taurine in dogs? Dogs can synthesize their own taurine, indicating that they are not obligate carnivores in terms of physiology. So in essence, the discussion as to whether our pets evolved from a wolf or dingo, anyway, is of no consequence at all. The modern dog cannot be considered as a derivative of a Wolf. This is an antiquated belief and certainly presenting nutrition based on this ideology is incorrect. The same analogy could be made with humans aspiring to a diet that apes eat – nuts, fruits, grass, etc. As humans we certainly could not maintain ourselves on such a diet. The same is true for our pets who over thousands of years have evolved to eat a balanced home prepared diet. That said, one should still strive to serve a diet that is natural and free of preservatives. One should support pet nutrition that is ethical and moral and steer away from companies that support animal testing. Where possible organic herbs and veggies should be used, as well as free range meat or an exclusive vegetable diet, if you know how to obtain a balanced diet.